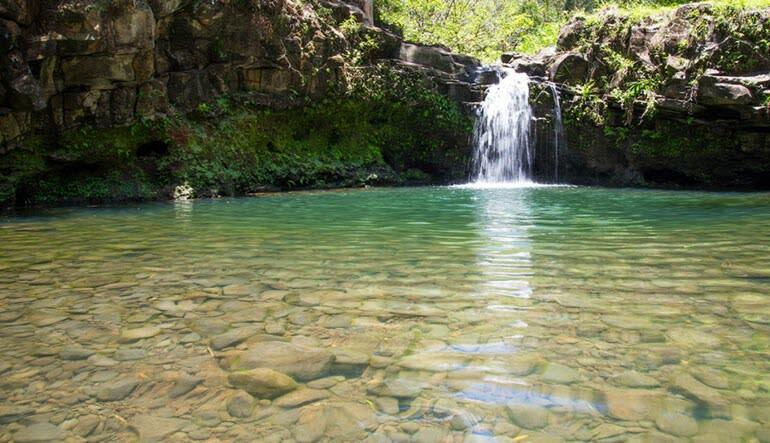 Explore the beauty of Maui by land and by air on an exhilarating hiking and ziplining combo tour! Soaring through the air, you’ll be treated to some of the most incredible sights! 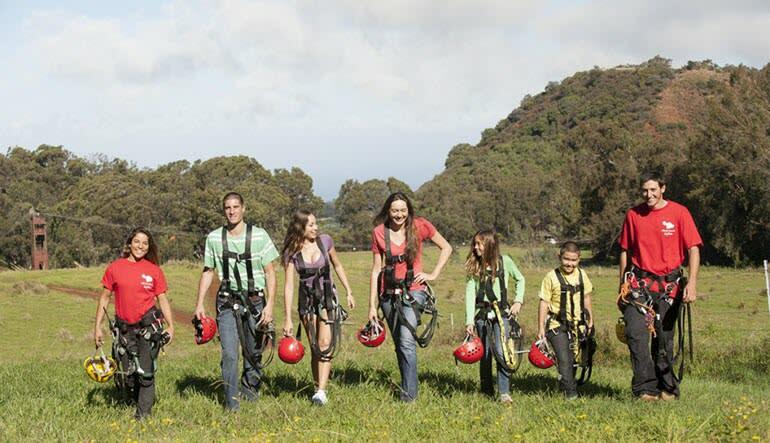 Explore the beauty of Maui by land and by air on an exhilarating hiking and ziplining combo tour! Soaring through the air, you’ll be treated to some of the most incredible sights of Maui’s Pi’iholo area, including lush foliage, cavernous gulches, and stunning scenery. 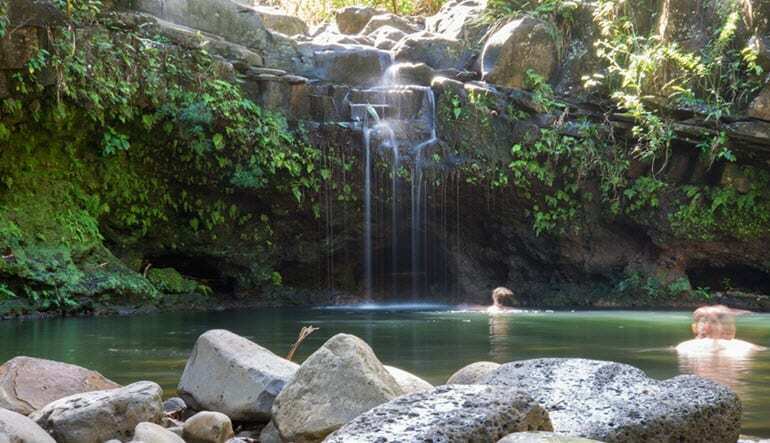 Then it’s off to wind your way through the area’s hidden trails, enjoying the sights and sounds of Maui’s tranquil countryside as your naturalist guide leads you towards serenity to two of the area’s most enchanting waterfalls. 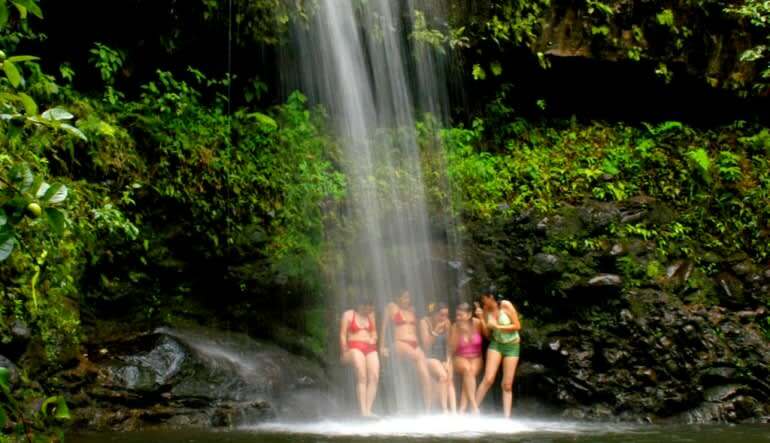 Once there, you can sit back, relax, and bask in the beauty, or even take the plunge and dive into the clear pools beneath the majestic falls! 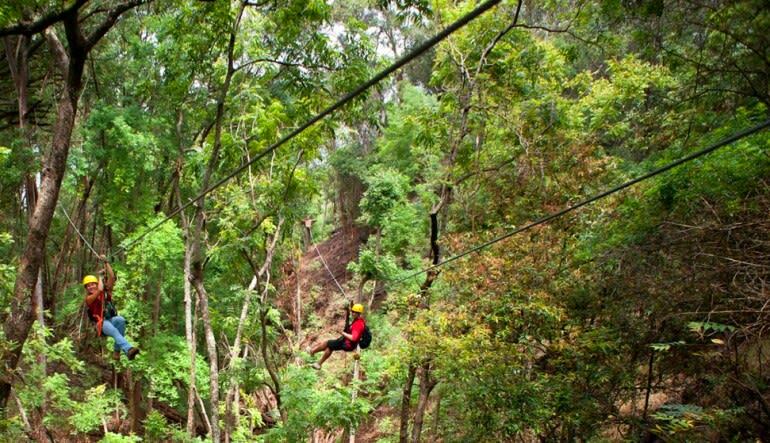 Ziplining tour, including Maui’s famous side-by-side zips! Take to the skies for some of the greatest, most exciting views of Maui’s countryside then unwind and relive the thrills along the serene waters of Maui’s hidden treasures. Make it a day of memories to last a lifetime, book you Maui hiking and ziplining adventure today!